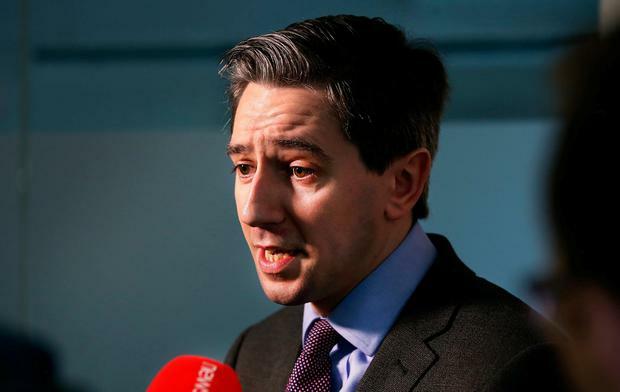 HEALTH Minister Simon Harris has apologised to the Dáil for not answering questions on the cost of the National Children’s Hospital “more fully” last September. The minister has this afternoon given a ‘personal explanation’ to TDs during which he said it was never his intention to mislead the House. His statement related to a parliamentary question from Fianna Fáil’s Barry Cowen which asked if expenditure on the hospital was on target. At the time Mr Harris indicated it was “on profile” but made no mention of the fact the costs were being assessed. The bill subsequently rose from €950m to €1.4bn. “At the time of answering, I was not in a position to give commercially sensitive figures but, as I said at the Health Committee last week, I should have answered it more fully as it would never be my intention to mislead this House,” Mr Harris said. “I should have added further detail to inform that a process was ongoing to finalise costs and that updated costs would be known when that process concluded. I apologise for not doing this. Mr Harris said he takes the need for accountability “very seriously”. The Minister was sat alongside Taoiseach Leo Varadkar as he made the statement. He was briefly interrupted by Sinn Féin TD Pearse Doherty who complained that the information referenced by the minister was not commercially sensitive. After the statement, Fianna Fáil leader Micheál Martin asked that the Dáil set aside time for further questioning of the minister. He said a series of memos relating to the hospital had been released in recent days. Mr Martin he has always been “constructive” on the issue, whereas Sinn Féin were like Clint Eastwood. “When the cowboy rolls into town the first thing he does is reach for his holster,” he said, adding that Sinn Féin’s first move during a crisis is to table a no-confidence motion. Solidarity TD Ruth Coppinger claimed Mr Harris made a political statement rather than a personal one. Mr Varadkar defended his minister, saying he has “no problem answering questions”. However, he noted that Mr Harris has already spent nine hours answering questions on the issue at Oireachtas committees. “If there are going to be a further set of questions that people read the questions that have already happened and maybe only ask new questions,” he said. Earlier, Taoiseach Leo Varadkar claimed that National Children’s Hospital (NCH) cost overrun of €450m not an issue of a waste of taxpayers’ money, rather it was a case of underestimating the costs. Mr Varadkar made the remarks as he came under Opposition pressure on the issue at Leaders’ Questions in the Dáil. He also faced a call from Sinn Féin leader Mary Lou McDonald to sack Minister Harris. The government has been at the centre of a storm over the NCH where construction costs have spiralled from €983m to €1.4bn. Fianna Fáil leader Micheál Martin said there is shock at the rise in costs and raised concern that construction inflation will see them rise further. He also claimed that the Dáil was misled on the costs in an answer Mr Harris gave to a parliamentary question in September where he didn’t outline increases that were known at that time. Mr Martin asked if the project was “too big to fail” and raised questions over communications between Mr Harris and public expenditure Paschal Donohoe on the costs overruns. Mr Martin asked Mr Varadkar if he accepted Mr Harris should have alerted Mr Donohoe as far back as last August. Mr Varadkar said he fully accepts that taxpayers are “very annoyed” by the way costs have excalated. But he argued that it’s “not an issue of a waste of taxpayers’ money” adding that it has not even been spent at this stage. Mr Varadkar said it’s a case of the government and its agencies underestimating the costs. The Taoiseach said the government has to accept responsibility. He said it can’t claim credit for projects that went well like motorways and the Luas Cross-City project and not accept responsibility for things that go wrong. Mr Martin accused the government of a response that has refused to accept it has made errors. He also added that “you can’t say the taxpayer hasn’t been ripped off here”. Mr Varadkar said virtually nobody is opposed to building the National Children’s Hospital and nobody is questioning the government’s decision to proceed. He repeated his claim that it isn’t an issue of taxpayers’ money being wasted, rather that costs were underestimated. Ms McDonald said it was “extraordinary” to hear the Taoiseach “try to justify or explain away the fiasco… as if to suggest to the taxpayer it’s not such a big deal after all”. She accused Mr Harris of “incompetence” and claimed he has a “shambolic” record in health. She told Mr Varadkar “you should do the right thing and you should relieve Simon Harris of his duties”. Mr Varadkar said he was heartened that Sinn Féin has a newfound interest in taxpayers’ money saying that their calls for more than €2bn tax increases show they’re not a friend to taxpayers. He accused Sinn Féin of an “almost weekly demand for a head” and added: “that is not accountability”. Mr Varadkar has said that the NCH will be state of the art.